The new Aquaplex includes an Olympic- style 50-meter competition pool for the intercollegiate swim team, a 7,000 square foot recreational pool and a hydrotherapy spa. 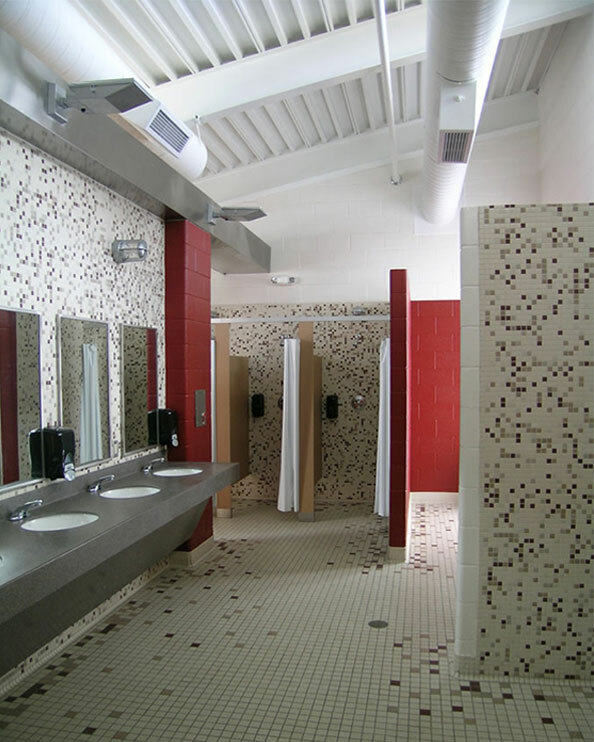 The Aztec Aquaplex also includes a 4,850 square foot building to accommodate showers, locker rooms, administrative offices and support facilities. 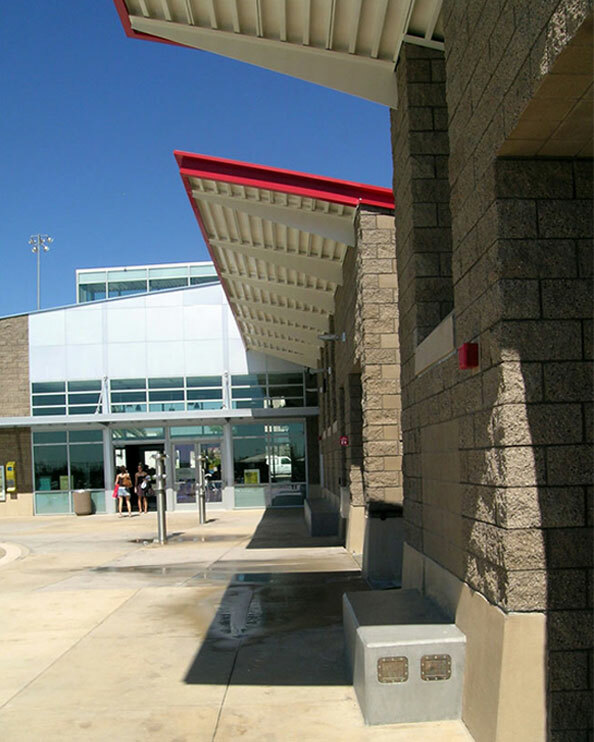 Located in the western region of the university’s campus, the Aztec Aquaplex is a short distance from the Aztec Recreation Center (ARC), classrooms and student housing. Replacing Terry Pool, which was taken out of service in June 2000, the Aquaplex completes the recreational sports complex that includes Tony Gwynn Stadium, the softball fields and the new tennis facilities. A student-funded project, with a mandate to be environmentally sensitive, AVRP Studios provided an energy efficient design that includes abundant natural light and ventilation throughout. Durable building materials that include cast-in-place concrete and patterned concrete masonry provide for a minimum of maintenance. Glass walls and paving patterns enhance the transition from indoor to outdoor swim areas. The goal was to design a facility that becomes a bold and inviting addition to the SDSU recreational sports complex.